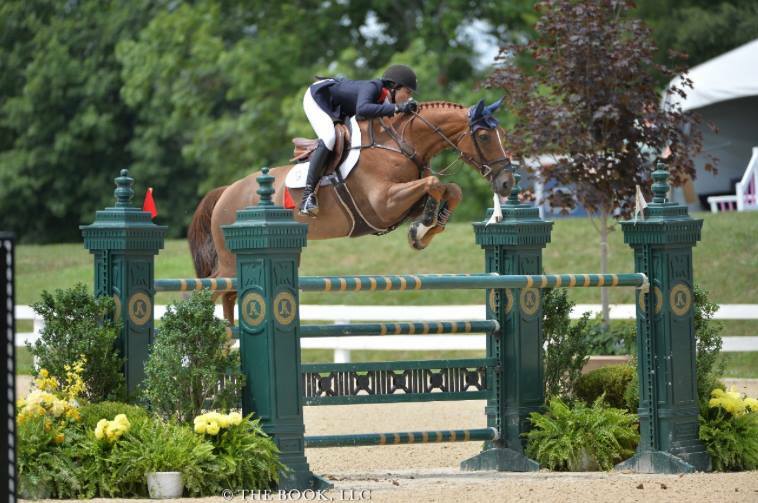 Lexington, KY – October 2, 2014 - The Adequan FEI North American Junior and Young Rider Championships (NAJYRC) presented by Gotham North took place at the Kentucky Horse Park July 15-20, 2014. 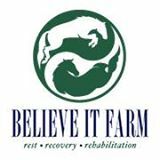 The competition is the premier event in North America for riders age 14-21 to compete for team and individual FEI medals in dressage, eventing and show jumping, reining and endurance. Separate awards for team and individual are given for junior riders 14-17 and young riders 18-21. Chef d’Equipe Kelly Goguen coached the Zone 5 juniors to a silver medal and a two round combined total of only 13 faults. Members of the team were Kady Abrahamson with Quick Blue Z, Vivian Yowan with Vornado Van Den Hoendrik, Alec Bozorgi with Navy Blue Tarroy and Meredith Darst with Zenith Dance. The team from zones 1/9 took the gold and Mexico’s team took the bronze. Maddy Darst and Zenith Dance. Zone 5 was also the only zone with three riders in the top 15 of the individual Junior standings out of 39 riders. Kady Abrahamson of Lexington, KY, finished 7th overall, Vivian Yowan also of Lexington, KY, finished 13th and Alec Bozorgi of Chicago in 15th. Catherine Tyree was the highest finishing Young Rider in the Individual standings placing 5th with Sandor De La Pomme out of 26 riders. Chef d’ Equipe Karen Healey coached the Zone 5/10 combined Young Riders team to a 5th place finish. 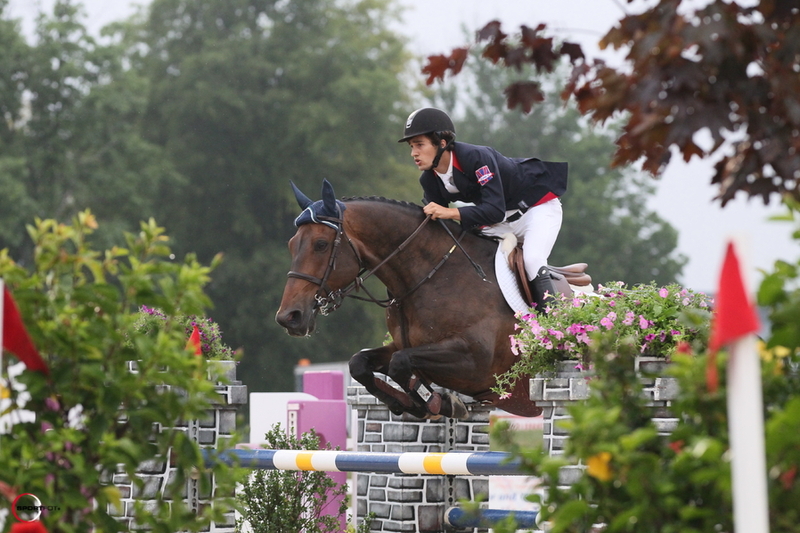 Team member Alec Bozorgi added, "As a junior rider there are not many opportunities to ride on a team, so that made NAJYRC especially unique. I grew up playing football and lacrosse, so being able to compete on a team again was one of my favorite parts. It adds that extra bit of pressure when you step into the ring knowing that your team needs you to put in a good round. From the start, we all decided that we were going to work towards a team medal. Nobody even mentioned anything about riding for an individual medal. Everybody really stepped up and put the team first rather than riding for themselves. I think that we had some very good chemistry as a team because everybody got along so well, and we ended up spending a lot of time together over the week. We could not have asked for better leaders than Mr. and Mrs. Goguen. They were almost more invested in a team medal than the riders! Kevin (Babington) was nice enough to make the trip out to help me, and he was just as excited as the rest of us." Bozorgi commented on the most difficult part of the competition. Alec Bozorgi and Navy Blue Tarroy. Photo by Sportfot. "Riding five rounds over the week was very hard on both horse and rider,” said Bozorgi. “Being able to put in five good rounds over the week is more difficult than most would think. One mistake on the first day could ruin your whole week, and then there is a lot of pressure on the last day when you know you need a clear round to stay in the same position. It is also incredibly hard on the horses. Five rounds of big fences put a lot of strain on them, and it takes a lot to keep them jumping their best throughout the championship. One horse between me and my groom seemed like a very easy week, but it took all day to keep him in top condition." 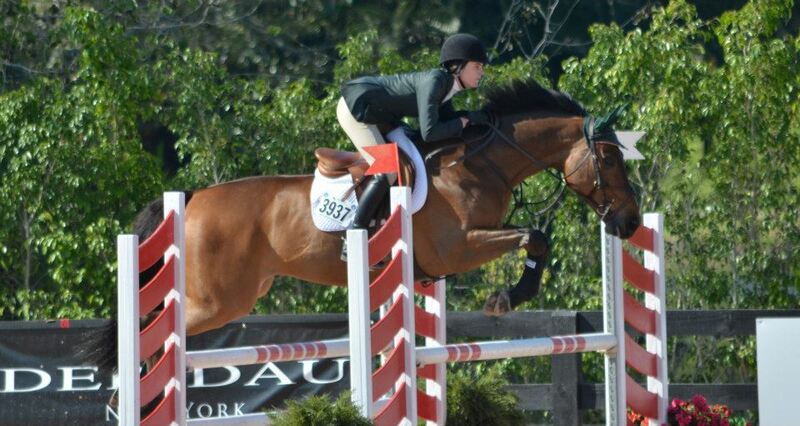 Young rider Catherine Tyree of Evanston, IL, was eligible to compete in the championships for the last time this year. 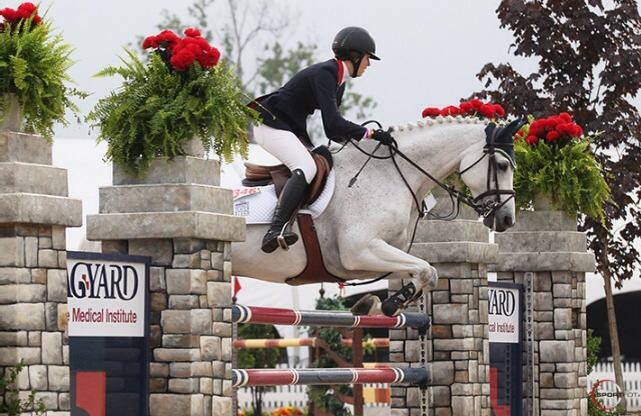 Tyree keeps upping her game since finishing third in the 2012 ASPCA Maclay Finals and has spent some time with her jumpers in Europe and recently competed in the 2014 American Gold Cup. She attends college at Northwestern University where she is a sophomore majoring in Economics. Catherine Tyree and Sondor de La Pomme. Photo by The Book LLC. 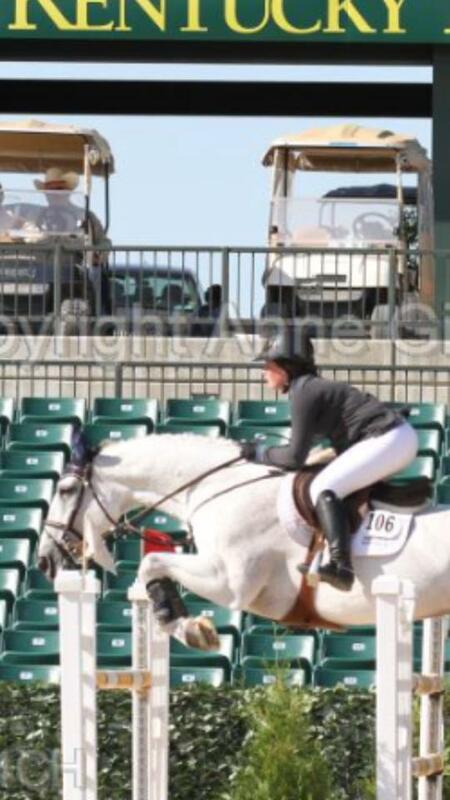 Kady Abrahamson and Quick Blue Z. The next Zone 5 team competition will be the Prix de States during the Pennsylvania National Horse Show October 9th and 10th.